Romantic Christmas gift for your "Special Someone!" 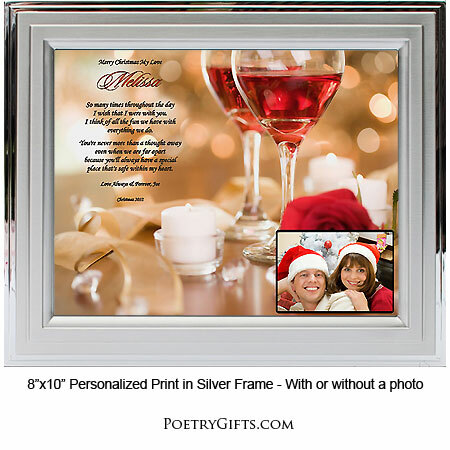 Surprise your husband, wife, boyfriend or girlfriend with this original love poem and warm candlelight design. 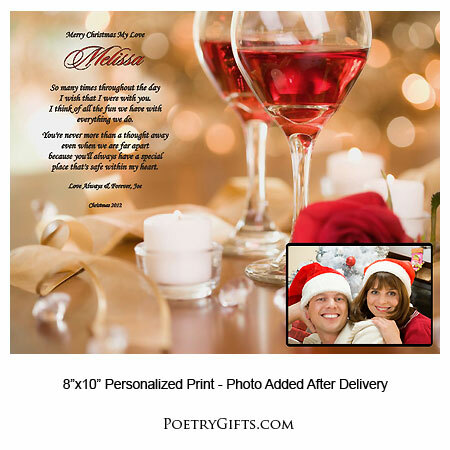 Personalize the print with your names and a personal message. Add a treasured photo and you'll be giving a keepsake that will become a favorite Christmas present for years to come. Looking for the "Best Christmas Present Ever" for your spouse, boyfriend or girlfriend? Nothing says "I Love You and Think About You Often Throughout the Day" more than this heartfelt poem. 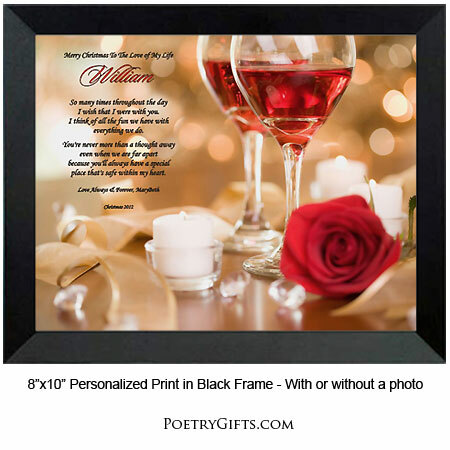 Imagine how the "guy or gal of your dreams" will feel when you present them with this EXCLUSIVE personalized Poetry Gift. Santa will love putting this one-of-a-kind present under the Christmas tree. 3. Closing Phrase and Your Name (as seen after poem) - (Examples: Love Always & Forever, Jason; Love You Always, Sara; etc.)" I wish that I were with you. place that's safe within my heart.